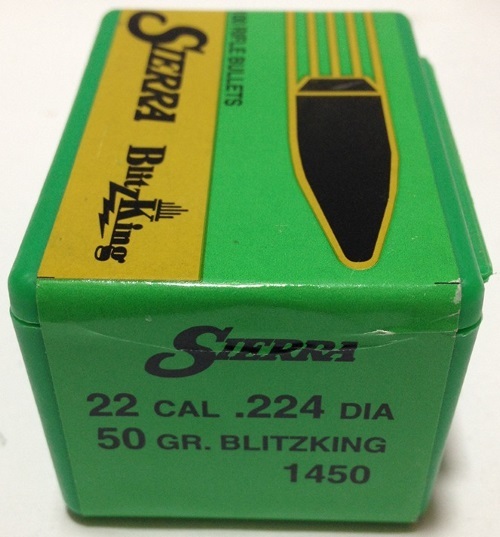 About Sierra BlitzKing® Bullets - These bullets are designed for explosive expansion in varmints and small game and with accuracy characteristic of the MatchKing bullets. The tips of these bullets are made of a proprietary compound, and the jackets are thin for enhanced accuracy and explosive expansion. The lighter bullets in 20 & 22 calibers are designed to be fired at muzzle velocities up to 4400 fps. 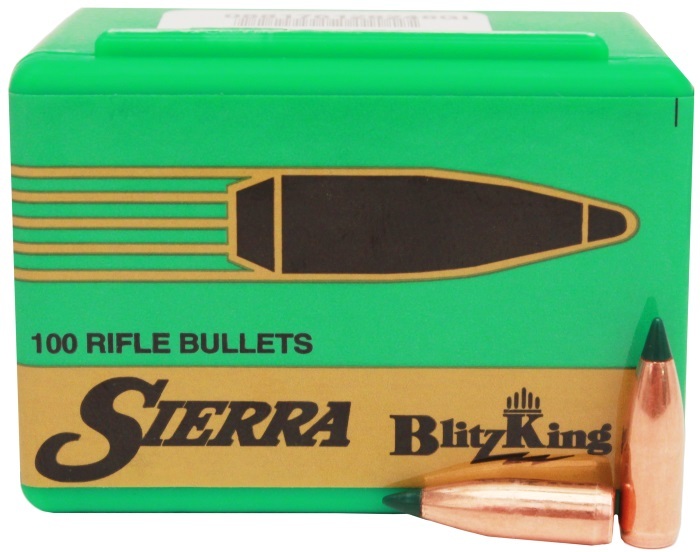 The lightest 6mm BlitzKing bullet can be fired at muzzle velocities up to 4000 fps .Sierra BlitzKing bullets were specifically designed to combine the well-known accuracy of the MatchKing with devastating and explosive expansion on varmints. 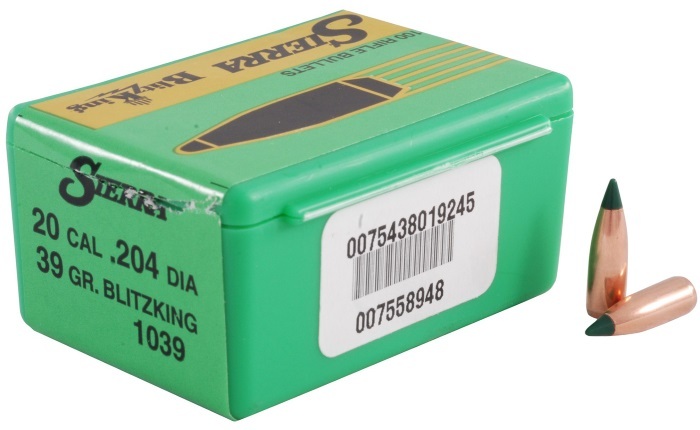 The thin copper jackets enhance accuracy and allow for extreme expansion which is initiated by the green, polymer tip. Trust Sierra BlitzKings in your favorite varmint caliber to deliver the accuracy and terminal performance you expect. Varmint hunting places extreme demands on bullet performance. Such bullets must be exceptionally accurate to hit small targets, lightly constructed to provide explosive expansion while minimizing ricochets, and lightweight to obtain high velocities with flat trajectories. Sierra BlitzKing bullets are the standard against which other brands are measured. Sierra's strict adherence to quality standards, including a requirement for three times more dimensional and structural quality control for extreme uniformity, results in reliably consistent performance, shot after shot. 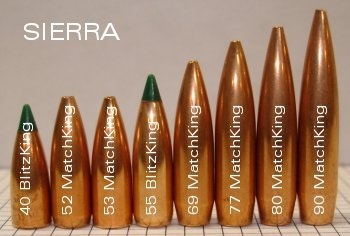 Sierra Bullets are made in a wide variety of weights to suit your every need. BlitzKing Bullets have polymer tips and a jacket design that promotes rapid, explosive expansion at any range.